This isn’t how I expected my come back article to be. But it is what it is. Almost a week ago, on February 15th 2019, NASA officially pronounced Mar’s Opportunity rover dead. Rest In Peace Oppy. You did well. And here is my tribute to you. A mission that was meant only for 90 days but lasted 15 years — what more to tell (2004–2019). You took a path and traveled ahead for 45 kilometers when you were designed to do only 1000 meters. 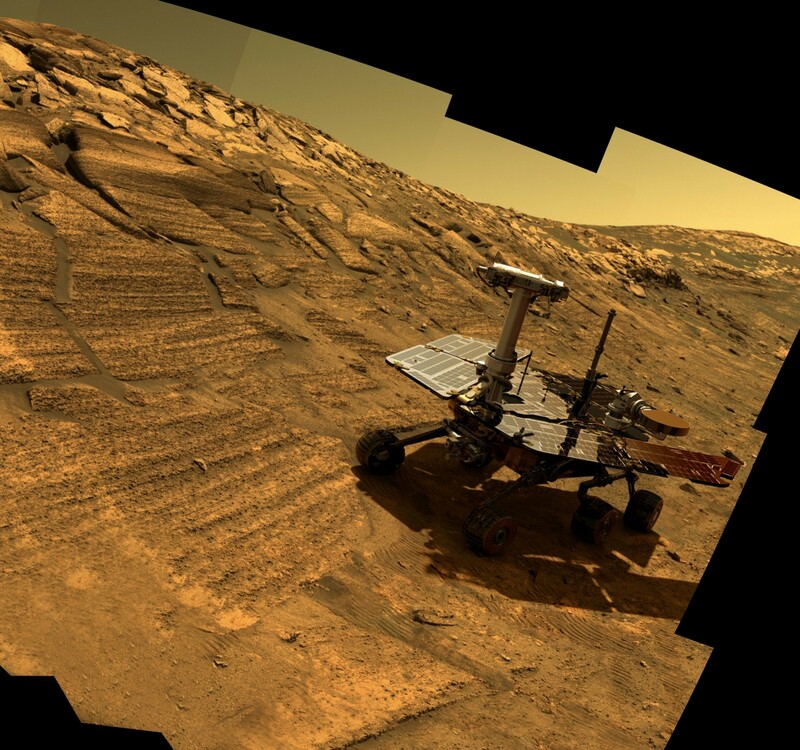 You sent out 217,000 images of Mars back to us — few of which were 360 degree panorama shots. Discovered 52 rocks that contained fresh mineral surfaces for analysis and cleared up 72 more for inspection with spectrometer and microscopic imager. You found a mineral called Hematite, that forms in water on the site where you landed. You did all these through dust and storm, losing your components one by one — 256 megabyte of flash drive in 2015, the use of one front wheel in 2005 and the other in 2017. Every time you faced an obstacle and fell down, you got back right up in a jiff. Your perseverance paid — it says so in your resting place — Perseverance Valley. There is no place better. Originally published at lifespaceandthelot.com on February 26, 2019.